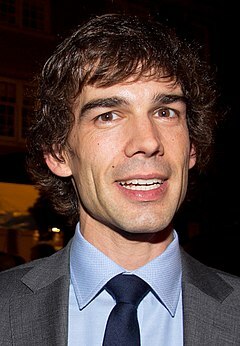 Christopher Gorham (Fresno, Kalifornija, 14. kolovoza 1974.) je američki glumac. Najpoznatiji je po ulogama u TV serijama "Ugly Betty", "Otok smrti" i "Cure u trendu". 1997 Spy Game Daniel/Lucas epizoda: "Nobody Ever Said Growing Up Was Easy"
1998 Buffy the Vampire Slayer James Stanley epizoda: "I Only Have Eyes for You"
Vengeance Unlimited Jason Harrington epizoada: "Noir"
1999 Saved by the Bell: The New Class Mark Carlson epizoda: "Liz Burns Eric"
2003 Boomtown Gordon Sinclair epizoda: "Monster's Brawl"
CSI: Crime Scene Investigation Corey epizoda: "Crash and Burn"
Without a Trace Josh Abrams epizoada: "Victory for Humanity"
2011 Love Bites Dale Epizoda: "Boys to Men"
2012 Hot in Cleveland Casey Epizoda: "Tangled Web"
↑ "Camie Award Web Site". http://www.camie.org/the-other-side-of-heaven.html. ↑ "The 14th Annual Screen Actors Guild Awards". Screen Actors Guild. http://www.sagawards.org/awards/nominees-and-recipients/14th-annual-screen-actors-guild-awards. pristupljeno 21. VII 2007..